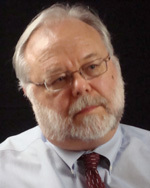 Rob Dean has been the managing editor of The Santa Fe New Mexican since 1992. Before then, he worked at newspapers in Montana and Washington state. A Montana native, he earned undergraduate degrees in journalism, history and politics from the University of Montana. He taught journalism at Pacific Lutheran University. He is past president of the New Mexico Foundation for Open Government and the Associated Press Managing Editors of New Mexico. He holds a master’s degree in history from Norwich University in Vermont. In 2010, he edited the anthology Santa Fe, Its 400th Year: Exploring the Past, Defining the Future, published by Sunstone Press. Rob Dean used the power of his newspaper to focus public attention on an “achievement gap” in Santa Fe’s schools. The results were a clearer understanding of the issues at stake, a public forum, and some state legislation to begin to address this complicated problem.